* new work at Kettle Blue Review! Just a quick note to announce the release of the latest issue of Kettle Blue Review! Happy to be part of a great issue! 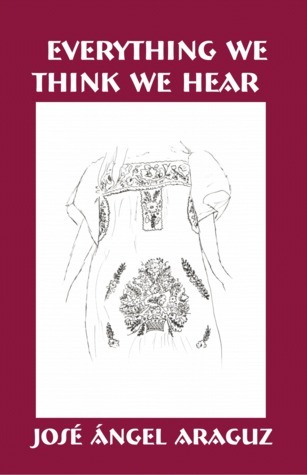 Check out the stellar work, including poems by Gail Goepfert, Christine Pacyk, and Mercedes Lawry here. Special thanks to Lana Rakhman & everyone at KBR! This week I’m sharing a poem from Danielle Cadena Deulen’s book Our Emotions Get Carried Away Beyond Us which I reviewed earlier this week. In my review I focused on how the poems in the collection have a particular way of approaching the self as a moment of awareness and interpolation. This week’s poem, “Constellation,” does this work via the immediacy of a speaker engaged in an address of memory and revelation. By weaving the narrative of a specific memory with the narratives the speaker carries about their friend, the poem creates its own constellation of vivid recollection. What holds these materials together is the box-like conceptual form, which begins with the first words of the poem: I close my eyes and it’s you with the boy. From the darkness behind the speaker’s eyes arises the memory of the friend with an immediacy and emotional charge that evokes the book’s title; the reader is “carried” into the memories of the speaker. Yet, with the poem’s final image, which compares the night sky to a box, we are once again in darkness, captivated by the voice of the friend, who gets in the last fateful word. myself before him, too. You’re fast. school before you get through them all. diamonds in a box that no one opens. P.S. Check out the giveaway below! Giveaway ends December 04, 2016. * new review up at The Volta Blog! Just a quick post to announce my latest book review up at The Volta Blog! This time around I spend time with Danielle Cadena Deulen’s second collection, Our Emotions Get Carried Away Beyond Us (Barrow Street Press). This review will be my last for The Volta Blog as they are closing shop. I learned a lot and had fun supporting some great books. Reviewing for them made me brave enough to do my own microreviews & interviews for this blog (see: “Categories”). Special thanks to Sally Whittier McCallum and Housten Donham for being great to work with. P.S. Also: check out the details of the new giveaway below! 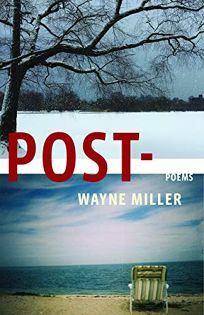 This week, I thought I’d share a poem from Wayne Miller’s latest collection, Post- (Milkweed Editions), which I wrote about earlier this week for the Cincinnati Review blog. In my review of the book, I spoke about poems that engaged with the idea of inheritance in relation to the nature of language itself. This week’s poem, “Inside the Book,” explores such territory. In this poem, the speaker meditates on their daughter’s efforts at reading “these trenches of script.” The lyric quickly develops a sense of the physicality of reading; when the daughter is described as wanting “to lift that world / into her own,” the reading act is being understood as a visceral experience. The effort is narrated in physical terms, which imbues the daughter narrative with a great deal of determination. This meeting of “worlds” culminates in an ending that takes the poem, poet, and reader to a metaphysical level, indirectly pointing out the ways in which language and reading act as hinges between us. as the air reaches into her lungs. * Q&A up at Carve Magazine blog! Happy to share this recent Q&A session focusing on my poem “Hails from Corpus Christi” from my forthcoming collection Small Fires (FutureCycle Press, 2017). In this short session, I discuss this poem in terms of “soundscape” and measure as well as go into some of the themes of the upcoming collection. There might also be a brief reference to the Ninja Turtles. Special thanks to Ellie Francis Breivogel for her insightful questions as well as to everyone at Carve Magazine! “Hails from Corpus Christi” will be published in CM’s next issue which is available for pre-order! * new blog post at the Cincinnati Review blog! Just a quick note to share my latest microreview & interview over at the Cincinnati Review blog! 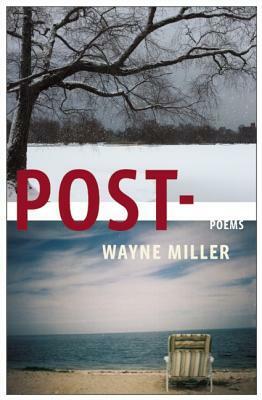 This time around I spend time with Wayne Miller’s latest book, Post- (Milkweed Editions). Stay tuned Friday as I share a poem from Miller’s collection. * reading from The Divorce Suite! September ended up being such a busy month that I never got around to sharing more excerpts from The Divorce Suite (Red Bird Chapbooks, 2016). Luckily, a recent outing to the Spring Grove Cemetery provided a nice background and inspiration for a reading. Below are the poems “Gift” and “The Accordion Heart” along with a clip of my reading them. I chose these two poems because they are both what I term “makeshift sonnets.” There was a year (2006, I believe) when I wrote a sonnet a day; terribly rhymed creatures they were, all sorts of misguided phrasing. I then took a break from writing in the form for a few years, returning to the form after learning about William Carlos Williams and his idea of the sonnet as simply the shape of an argument. With that framework to brace me, I wrote my way back into the fourteen line form, feeling out an argument or sense of argument. Both of these poems work out their own sense of argument, and strike their separate notes that compliment the overall project of The Divorce Suite. to the store. He walked off then. the story to anyone who’d listen. Do you know how great that is? the author, young, and holding a cigarette. she colored everything around her. translated to: Everything tastes like farewell. The accordion heart is hard to carry. the air inside you pull and stretch. can see where this could lead to something. Sometimes the face won’t want to play. Sometimes the face will play too long. Either way, you’ll feel worn out. and prove the accordion heart is useless. There are no hands for it. You wait. The Divorce Suite can be purchased from Red Bird Chapbooks. (*) “The Accordion Heart” was originally published in Foothill: a journal of poetry.